21, New York Tower - A, Near Muktidham Temple, Thaltej Cross Road, Thaltej, Ahmedabad 380054. FF/129, Gala Magnus, South Bopal, Ahmedabad, 380058. A workshop on the basics of theatre and performance. 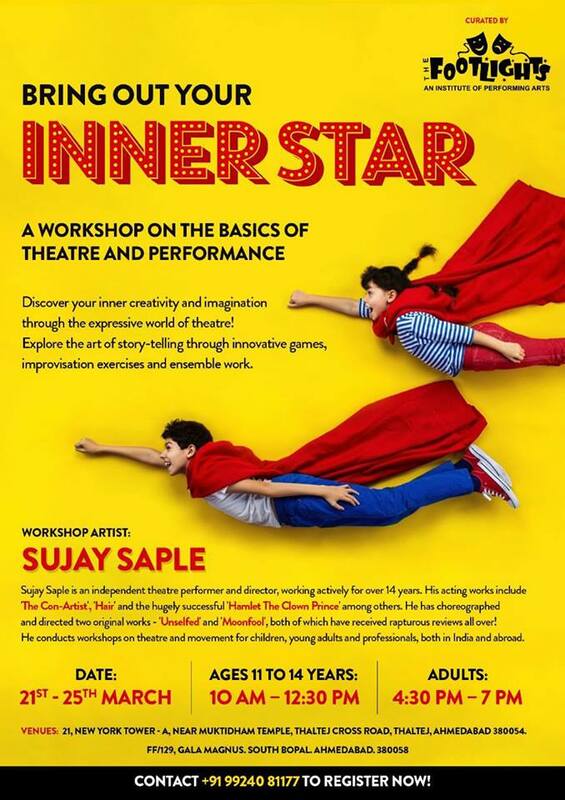 The workshop lead by Sujay Saple.